ABI Research forecasts that mobile commerce is poised for a huge growth in the next five years. 24.4% of total e-commerce revenues is expected from m-commerce. Rapid adoption of smartphones and traditional brick and mortar retailers investing online are the contributing factors for the growth in m-commerce. Wow, would you consider paying $800 for the new iPhone 5? Its unlikely that Apple would price it that high, but today on Twitter rumors mills have kicked into overdrive with regards to the iPhone 5 pricing. #800dollarsforaniPhone” and “iPhone 5 $800″ were trending topics on Twitter. Research from Strategy Analytics finds that Android’s market share during the Q2 period has declined on a y-o-y comparison, while iOS has ascended. For the quarter ending in June, Android’s share has dipped 61% at the same time last year to 56% this year. While iOS share has risen from 23% to 33% y-o-y. 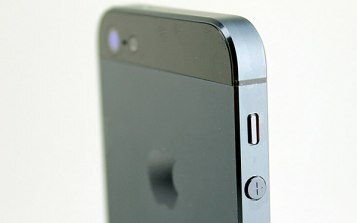 iMore blog reports that Apple would be launching the iPhone 5 on September the 12th this year. 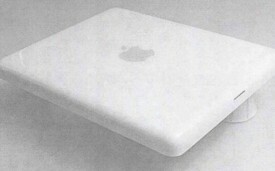 Its also speculated that Apple would launch the iPad mini as well as the new iPod nano on the same day. The new iPhone is expected to hit the retail stores on September the 21st. 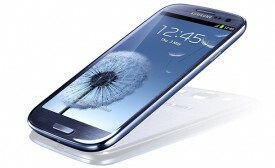 In the second quarter of 2012, Samsung has shipped nearly twice as many as iPhones by Apple. Strategy Analytics pegs Samsung smartphone shipments to be 50.5M units in Q2, a new record in quarterly shipments by a smartphone maker. Apple shipped 26M units in the same period. On the recent first ever earnings call, Facebook CEO Mark Zuckerberg quelled speculations of them releasing a mobile device. ‘It wouldn’t make much sense’ were his exact words. Analysts have speculated for a while now that its not a matter of if but when, for the release of Facebook Mobile. Sergey Brin announced that Google Glass’ new features enables it to click a picture automatically every 10 seconds. He had this feature on while driving and the pictures were automatically uploaded instantly on his Google+ account. Google Glass is likely to be available to consumers by end of 2012. Catalog Spree, a leading catalog shopping app, has put together an interesting infographic that captures several tablet commerce related data points, which points to tablets being the future of e-Commerce. iPad already dominates the mobile e-Commerce with a 50% market share. Learn more stats here. Iamconcise.com by Ryan Jones, has created a chart to explain why iPad mini is inevitable. Reputed analysts have used terms such as ‘highly likely’ for the iPad mini launch, while some have even predicted the exact date of launch and price points. This chart compares other Apple product lines and their price points, check it out here.